Available now at the imprint’s web store. Continuing with the ongoing release of its seasonal Spring/Summer 2019 collection, Toby Feltwell and Sk8thing’s cult imprint Cav Empt has returned with the eighth drop of its range. This time, the drop is filled with a lush offering of graphic-infused cut & sew staples and ready-to-wear options. Included in the drop are a variety of lightweight and breathable outerwear options from the C-Empt Zip Jacket, which can packed into its own pocket, to the Loose Waffle Collared Knit that allows for increased breathability. More notable pieces include the green-hued Half Zip Sweat with a vibrant neon velvet Ziggurat patch marking the rear. Trousers for this week’s drop continue with the brand’s signature style, resurfacing the prized Stripe Beach Pants in a darker gray-overdyed wash, and the navy colored Combat Pants. 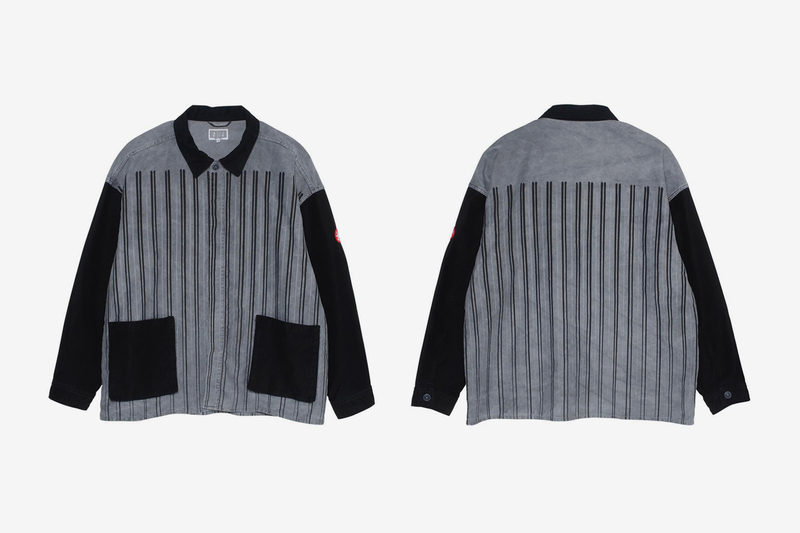 Check out the various pieces above, and if you’re interested in picking up a piece, head over to Cav Empt’s web store where the items are priced between $65 USD and $360 USD. For more fashion news, check out these 8 drops you won’t want to miss this week. In commemoration of the “SOPH. For The Room” offshoot label. The latest in Nintendo’s DIY cardboard creations.